In just a little less than a month, the city of Austin will be filled with software developers, managers, and executives who want to dig deeper into the world of Docker. Along with the Docker birthday celebrations in March and Global Mentor Week in the fall, DockerCon facilitates collaboration among all members of the Docker community, whether you’ve never touched Docker before or if you’re an active user who’s contributed to the project. The talk schedule reflects this inclusivity; with so many great talks geared toward different levels of experience, it might be tricky to schedule your day. I’ve combed through the offerings and have some recommendations based on what you might be looking for. If you haven’t snagged your ticket yet, you can use code CaptainLaura for 10 percent off. But get one quick: DockerCon always sells out. And don’t forget to take a #dockerselfie! If you’re brand new, you might want to get some more personal instruction in a Hands-on Lab. Why use Docker for development? John Zaccone, a Docker Captain who works at IBM, will give you a rundown of using Docker as a developer, how to get started, and the different ways it can aid your development cycle. Check out his talk, Docker for Devs. I’d also recommend anything in the Using Docker track, which is geared toward more practical content about using Docker day-to-day. You don’t need to use microservices to see the benefits of using Docker. In fact, a good percentage of new Docker users are containerizing legacy apps. If this is your situation, you’re in luck. You’ll want to hear Back to the Future: Containerize Legacy Applications. Stressed out about how you’re even going to start tackling the project of moving your VMs to Docker? There’s a tool for that. It’s called Image2Docker, it’s pretty new, and it’s awesome. Look for the talk Escape from Your VMs with Image2Docker. It’s also great to hear about how other companies and teams have pulled it off. Learn about how MetLife Dockerized their infrastructure in five months. Nope, it’s not impossible. That’s Docker 0 to 60 in 5 Months. Not using Docker in production yet, but want to? You’re not the first one making this leap. In his talk Journey to Docker Production, Bret Fisher will offer some practical advice and cautionary tales to help you be successful in your journey of moving to Docker in production. Using centralized logging and monitoring is a must. Learn how Docker does it in Centralized Logging and Metrics for a Docker-based Infrastructure. And please, do yourself a favor and check out the talk Creating Effective Images about writing smaller and more effective images. Interested in Orchestrating Distributed Applications? Orchestration and scheduling systems are inherently complex, but that’s not an excuse for you not to understand what’s going on. Shameless plug for my own talk, Everything You Thought You Already Knew About Orchestration, where I’ll give you the scoop on Raft consensus, the scheduling algorithms that Docker uses, what happens in failure recovery situations (yes — I’ll fail nodes during a live demo), and a couple debugging tips. Take a deep dive into Docker Swarm Mode with some of the engineers who worked on it — check out Under the Hood with Docker Swarm Mode. And you’re going to want to know more about networking. Check out the talk from Visa about Networking in Production using Docker. Oh man, what about multiple Swarms? You’ll need to hear Automation and Collaboration Across Multiple Swarms Using Docker Cloud. There are two tracks that you’ll probably stay on: Black Belt and Docker Deep Dive. Ever wondered what it would take to build a container from scratch? Liz Rice will talk you through it in What Have Namespaces Done For You Lately? Don’t miss Julius Volz’s talk on monitoring using Prometheus (Monitoring, the Prometheus Way). Dive into containerd and learn about the container lifecycle on the host system from none other than Justin Cormack with containerd Deep Dive. Anton Weiss put together a way to monitor your cluster’s health, not with dashboards but with sonic frequency expressed in midi notation (orchestra…tion, get it?). I have no idea what he’s cooked up, but I can’t wait to check out Cluster Symphony. I’m also super intrigued by TUF, not just about the technical complexity but how it also has to protect against humans. I saw a version of Securing the Software Supply Chain with TUF and Docker at the Distributed Systems Summit in Berlin last fall, and you won’t want to miss it. Remember, DockerCon 2017 takes place in Austin, April 17-20. Of course, there are plenty more amazing talks that I didn’t mention here, so be sure to create your own schedule. 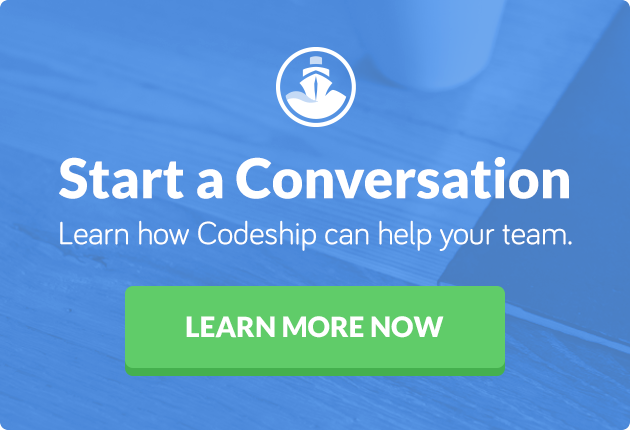 If you’re at DockerCon this year, swing by the Codeship booth and say hi!